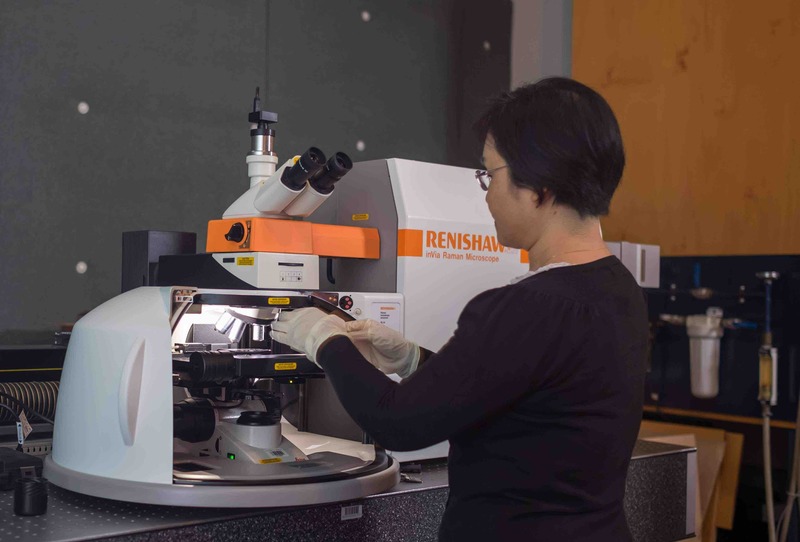 The Renishaw Raman microscope and spectrometer was installed 2008 and offers three laser wavelengths (325nm, 514nm and 785nm) for Raman vibrational analysis of bonds in oxides and organic specimens. The spectrometer is accurate to 1 wavenumber, and the laser spot may be positioned on the sample to a few microns. It is also possible to perform polarization, photoluminescence and confocal experiments on this microscope.